The latest version contains bug fixes and performance improvements. 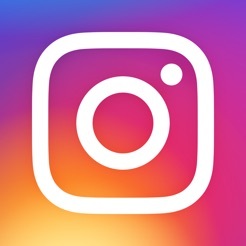 In the great big crowd of social media apps, Instagram continues to stand out for a reason: it makes sharing moments with everyone in your world easy, speedy, and fun. Whether you’re posting breathtaking vacation photos tweaked with one of dozens of cool image filters or a video clip of an insane concert, Instagram’s uncluttered accessibility has kept it at the top of the social-sharing heap. So I've been on Instagram for a while now and there are a couple things that I think I should mention. While this is a generally good social media platform, the algorithm is lacking. People putting out actual quality content like artists and singers, etc. are hidden in the barrel of accounts that just post their face and their average everyday lives. Nothing is special about the photos, they don't look professional and they always have filters, but someone this content gets hundreds more likes. On top of that, Instagram ruins the quality of photos. I don't know why and if there is something that specifically takes place to ruin the quality, but it does and it is very annoying. I want to mention that the formatting for posts is ridiculous. If you expand an image and are compiling multiple images to post, the next photo will have the same formatting as the first. It's very frustrating when I can't post something all together because the formatting isn't right, and it should be so simple to fix. The method of being able to attach images to a text post is a very simple way to fix it, but that require a lot of extra work. What I'm saying is, this should be easily fixable. The way it currently is is incredibly annoying. And the last thing, please fix the focus option. It works terribly and if there's not something giant to focus on it just comes out pixelated, blurry, and sad. So I just made a new Instagram account on top of the previous one I was using because I wanted to use both. So I tapped add account and I made a new one with my other email. I didn’t really want to confirm the email right away so I didn’t, but after about 5 minutes of trying to set up the new account, a pop up came that said that I had to confirm the email in order to continue using the account. So I was not too mad about that because confirming the email is pretty easy overall. But when I went to mail, I didn’t see an email. I refreshed the mail app over and over but still didn’t see and email. So I went back to Instagram and clicked “send again” hoping it would work, but when I went back to my inbox, there was still no email. I refreshed the inbox about 6 times before going back to Instagram and pressing “send again” another time. I went back to mail, and still didn’t see an email. This cycle continued for about 30 minutes before I gave up on making a new account. But when I tried to go to my previous account, it wouldn’t let me cancel the email confirmation, and there was no ‘x’ in the corner I could click. So I double clicked the home button and swiped out the app, but when I opened it again the email confirmation was still there, So I had to literally delete the app, and re-download it to be able to cancel the email confirmation. Please fix this.